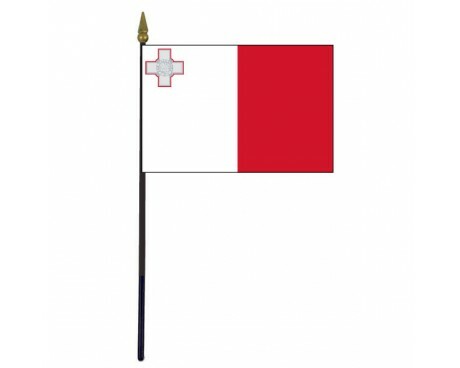 Malta Stick Flag - 4x6"
Maltas flag came into use near the middle of the 20th century, but its colors drew on a much older tradition. They are a reflection of the country's ancient history and the honors that it has received, and they have formed the core of all of Maltas flags. All of Maltas flags have been dominated by red and white. The modern flag is a simple bicolor with the white section along the hoist and the red along the fly that has the George Cross in the Canton. The George Cross is a badge of honor that reflects the nations history. It was awarded to the nation for its actions during the second world war, and it has been a symbol of the nation ever since. Red and white have been the colors of Maltas flag for so long that it is difficult to sort the facts out from the myths that surround them. 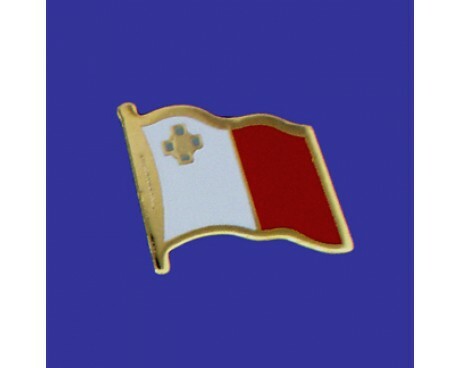 One legend says that Roger of Sicily gave the colors to Malta when the local Christians offered to join him in his war against the local Muslims. His personal flag was also red and white, and he allegedly tore part of it off and gave it to his Maltese supporters so that he could distinguish them from his enemies. The story is dubious, but it has anchored itself in the local culture and has been told for centuries. 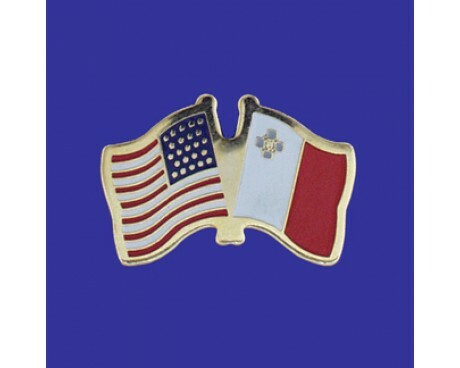 The colors most likely originated with the Knights of Malta, a knightly order that ruled the island during the medieval period. They fortified the island to help protect it and all of Italy against Muslim invaders during the time of the crusades, and they used it as a base to wage a naval war against their enemies. The knights won their place in history during the great siege of Malta, when the knights held out against a vastly larger force. Malta eventually became part of the British Empire, which represented it with a colonial flag. 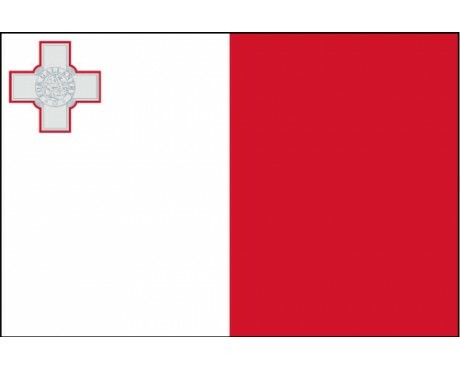 The flag had a blue field with the Union Jack in the canton and a red and white shield bearing the star of Malta in the fly. That flag fell out of use in favor of a design that included the George Cross on a blue square in the Canton. The blue section was removed in 1964 to create the modern design when the nation gained its independence from Britain.